My family in Brazil will be getting knitted scarves for Christmas this year. You've seen previous posts with the ones I have finished. Last weekend I was browsing at Hobby Lobby and found this cool yarn I could not leave at the store. 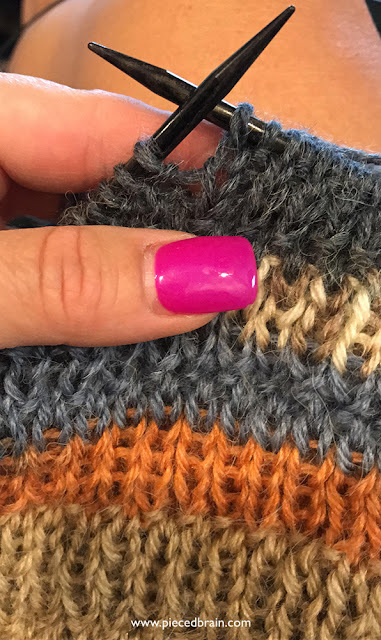 The colors reminded me of the ones my sister loves so I bough it and got ready to knit. My stitch requirements: simple, lots of texture but no pattern which would draw attention away from the colors. 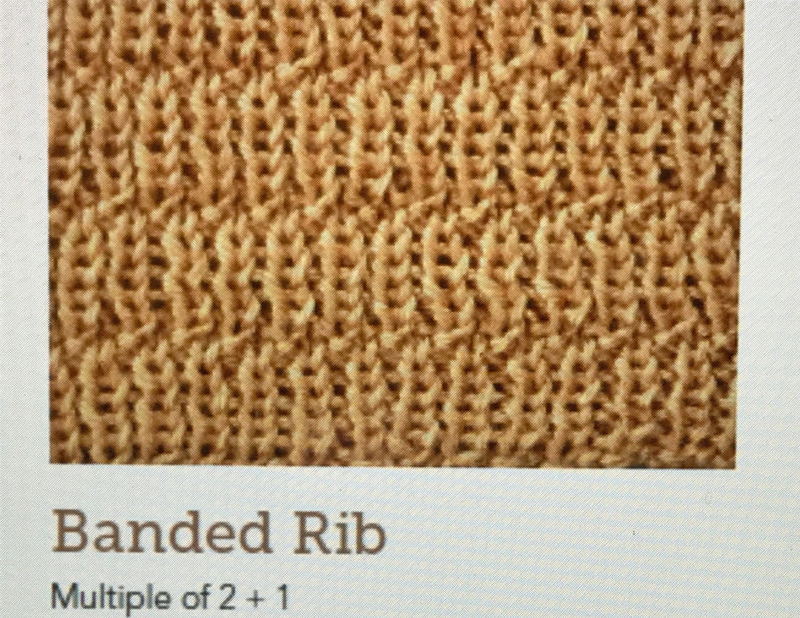 I opened my copy of The Big Book of Knit Stitches by Martingale and found the Banded Rib. Perfect! I took a picture of it with my phone to keep it as reference so I did not need to carry the book around. But, once the easy pattern was committed to memory, the photograph was deleted. I love how the scarf is turning out! 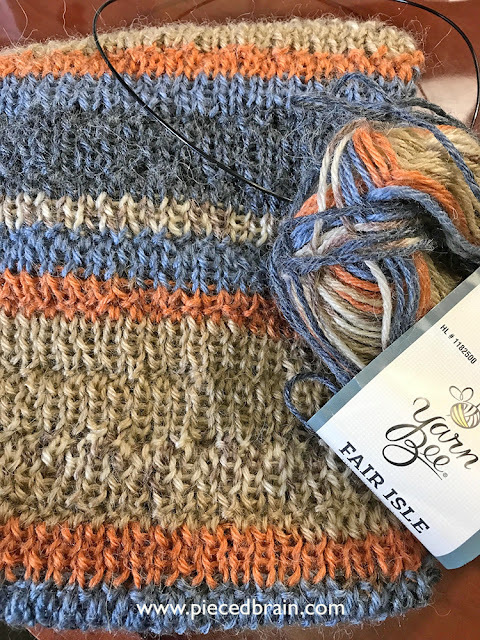 This Yarn Bee Fair Isle is 80% acrylic and 20% angora. 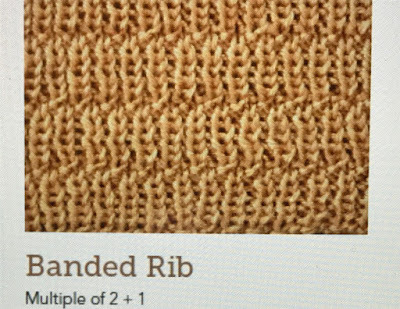 The knit fabric has a soft hand, it is not prickly, and the stitches - not smooth as stockinette - give the scarf a hand knit, rustic look. I hope she likes it! Now, back to the regularly scheduled quilting duties. Have a fun day! The knitting looks beautiful. It will be a fabulous present.